2. Thank you all for your very sweet comments and emails regarding my hair in the pic from last Saturday's post. I will likely not be dying my hair dark any time soon again, but I appreciate that you think I can bat for both hair teams...muchas gracias, chicas! 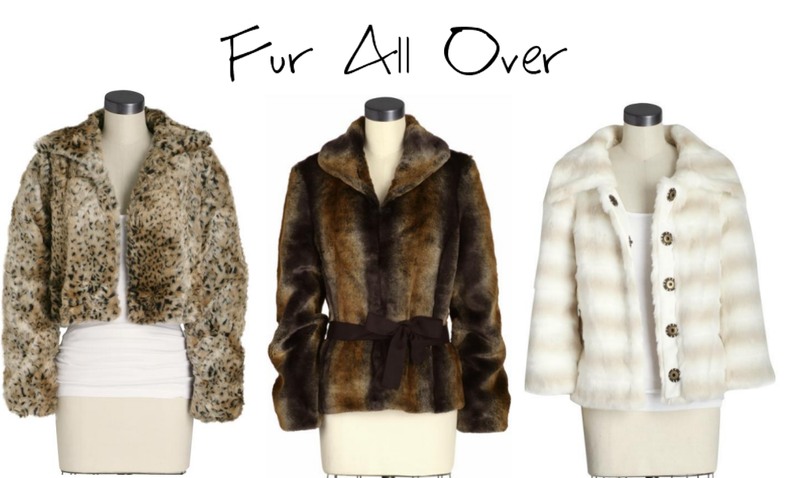 Hoo'kay...so, let's talk about faux fur. Love it or loathe it? True. There is nothing more horrid or cheap-looking than bad fake fur. Nothing says "I work on the street corner" quite like a $10 mink jacket from The Icing. But nothing says I'm cruel and heartless quite like wearing real fur. So basically it's a lose/lose. Unless you can find legit-looking faux fur. Hard to do, but it can be done. Lemme show ya'. 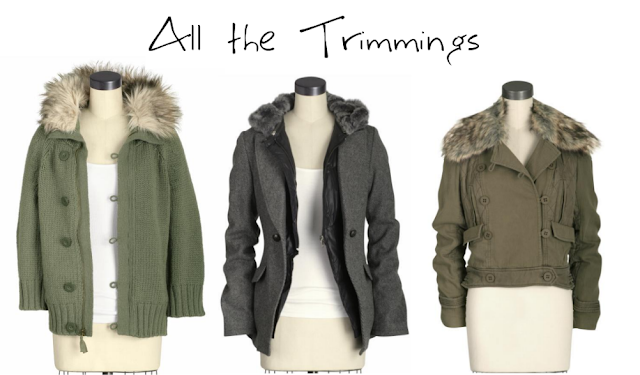 Absolutely love the Juicy Couture parkas..so cute and great for the winter! 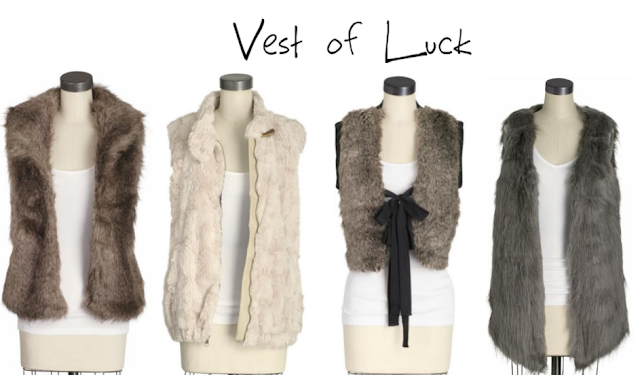 haven't purchased one of those yet but their fur lined vests are AMAZING! 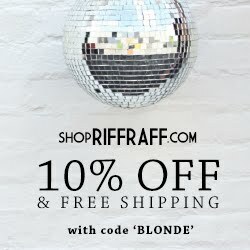 Love the blog girl!! 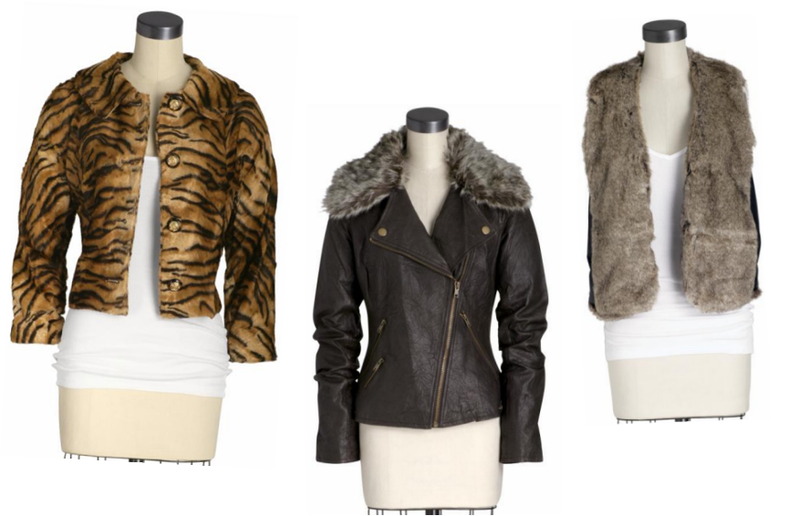 My favorites are definitely the fur vests! They're everywhere this season! oh, I LOVE that juicy one! Faux fur has certainly come a long way just in the past couple of years. I'm loving those vests! I love the juciy vest!!! 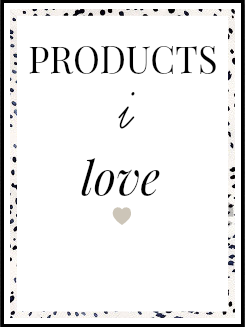 I have a beautiful faux fur that is INC!! favorites are in ALL THE FUR TRIMMINGS section. I have never been a fan of FAUX FUR all OVER jackets or vests although I have seen a few women pull them off with ease. just not my cup of tea. oooo tea sounds so lovely!! I've been seeing these fur vests, correction - faux fur vests - but I'll be honest, I don't know if I could swing this particular trend. Might be a little to Zsa Zsa for me. I think Rachel Zoe looks good in hers though. YAY! I love them all. 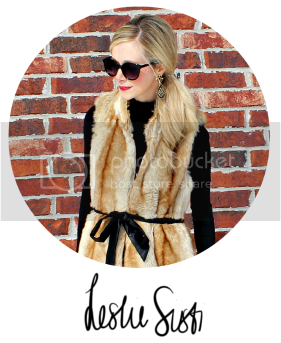 I picked up a faux fur trimmed vest and can't wait to wear it when the weather cools down! I am 100% YAY so long as it's faux. I own three real fur coats that belonged to my mother. After her passing I couldn't deal with the thought of someone else buying them, so I kept them. They were in our family for years so I had to keep them, but I don't see myself ever wearing them.